A mugwump is a derogatory word for somebody in charge, or for somebody who affects to be above petty squabbles and faction. The plodding boss and the pompous peacemaker are both mugwumps. Mugwump is therefore an eminently useful word. It has a preposterous sound: the ug and the ump get across the idea of plodding stupidity, and context can give it meaning. The origin of the word is extraordinary and involves the first American Bible. There was a seventeenth century chap called John Eliot who was a protestant, a puritan and a colonist in America. 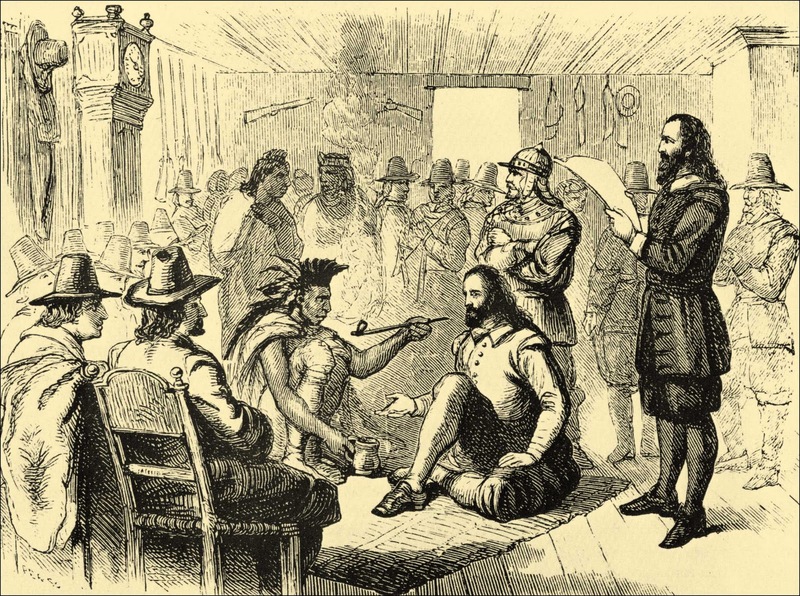 He wanted to convert the local natives - the Wampanoags - to Christianity and to do so he needed a Bible in their language. He learnt Massachusett, the language of the Wampanoags, and then had to invent a writing system to get it down on paper. The result was Eliot's Massachusett Bible of 1663: the first Bible ever printed in America. Eliot had the perennial translator's problem of finding words for concepts that don't exist in a language. The Algonquians had no centurions, no captains, no generals and so what was he to do when such fellows cropped up in the Bible? He decided to translate all of them using the Wampanoag word for war leader: mugquomp. Mugwump then disappeared for a hundred and fifty years. There is neither citation nor quotation until the early nineteenth century when it pops up again as a comical and derisive term for a boss. So long is the silence, that some say that John Eliot's mugquomp has nothing to do with the nineteenth century mugwump. The OED avers that there is no reason to connect the two. I might believe the OED, were it not that the first modern mugwump it cites is from Vermont in 1828. Vermont is only just to the North of the Wampanoag homeland. This alone would test coincidence to the limit. 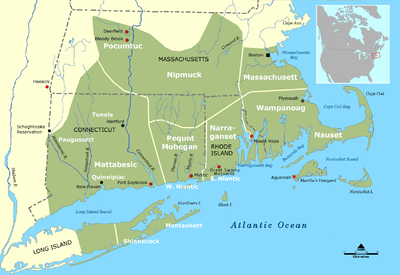 The second citation is from Rhode Island in 1832 and Rhode Island is slap bang in the middle of Wampanoag territory. Had mugwump reappeared in California or Dorset, I might credit it as an independent coinage. But geography being what it is I am as certain as certain can be that mugwump is mugquomp, and that the first American Bible produced a fine American insult. 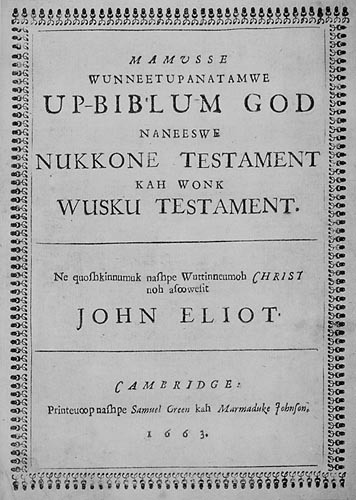 We also know that the Wampanoag population of Martha's Vineyard were still using Eliot's Bible in the mid-eighteenth century. All of which means that the OED seems to be rather too exucontian in its derivations. So bring on the mugwumpery! Insult your boss and when a petty peacemaker belittles your battle, smack the mugwump in the face. And with that our tribal hebdomadary comes to end. As John Eliot said just before he died: "Welcome joy!" P.S. I'm sure there's a Sgt Bilko episode where he bets on a horse called Mugwump, but I can't find it. Albus Dumbledore was the Supreme Mugwump of the Wizengamot, wasn't he?